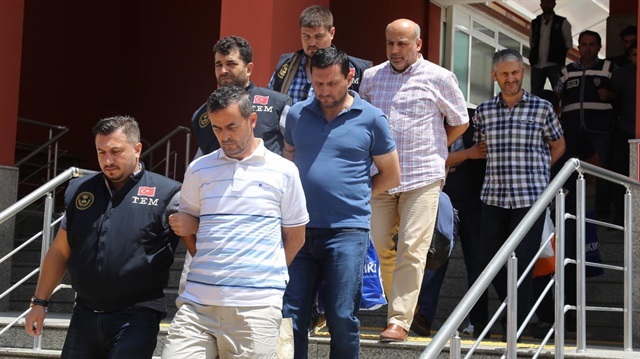 An İzmir court on Monday handed down aggravated life sentences to 104 of 137 suspects for their alleged role in a failed coup attempt on July 15, 2016, the state-run Anadolu news agency reported. On Friday an Istanbul court sentenced 57 air force cadets to life and six others to aggravated life for their alleged role in the failed coup attempt. In January, another İstanbul court ruled for aggravated life sentences for 23 military members and life sentences for 35 military personnel for attempting to change the constitutional order by means of the coup attempt in July 2016. Turkey survived a military coup attempt on July 15, 2016 that killed 249 people and wounded more than a thousand others. Immediately after the putsch, the Justice and Development Party (AKP) government along with President Recep Tayyip Erdoğan pinned the blame on the Gülen movement.